The upcoming A Boy Called Christmas has added three A-listers to its lineup. 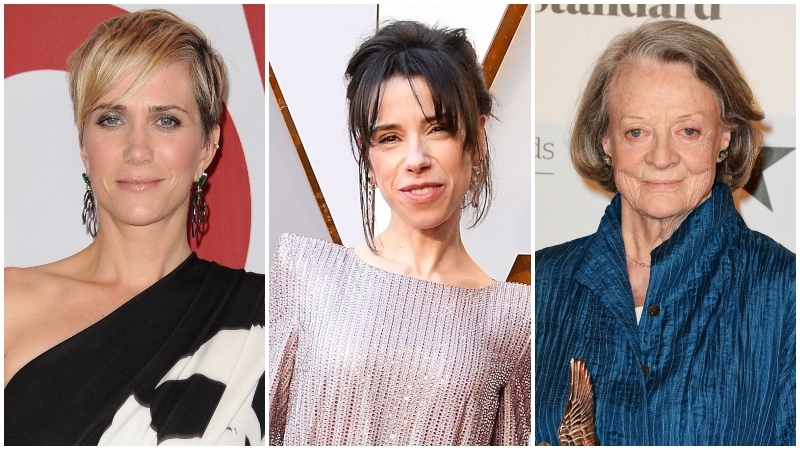 The Hollywood Reporter has word that Kristen Wiig (Bridesmaids, SNL), Sally Hawkins (The Shape of Water, Paddington) and Maggie Smith (Downton Abbey, Harry Potter) in the joint production between Netflix and StudioCanal’s adaptation of Matt Haig’s children’s book. A Boy Called Christmas tells the story of an ordinary boy called Nikolas who sets out on a wild adventure into the snowy north in search of his father, who is on a quest of his own to discover the fabled village of the elves, Elfhelm. With the headstrong reindeer called Blitzen and a loyal pet mouse, Nikolas soon meets his destiny in this story that proves nothing is impossible. The film is being directed by Oscar nominee Gil Kenan (Monster House), who adapted the screenplay with Ol Parker (Mamma Mia! Here We Go Again). A Boy Called Christmas is the first of five books in the acclaimed series, which are published by Canongate Books (Life of Pi, Under the Skin, How to Stop Time). StudioCanal will release the film theatrically in the U.K., Australia, New Zealand, Germany, France and China, and Netflix will release the film on its streaming platform for the rest of the world. Wiig will next be seen in the upcoming Wonder Woman 1984, Hawkins will appear in Godzilla: King of the Monsters, while Smith will be reprising her role of Violet Crawley in the upcoming Downton Abbey movie. The post A Boy Called Christmas Casts Kristen Wiig, Sally Hawkins & Maggie Smith appeared first on ComingSoon.net.